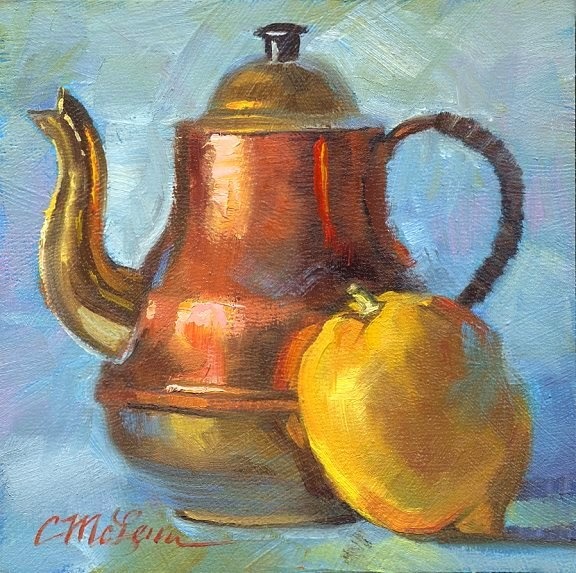 One of my favorite teapots to paint. I'm feeling the urge to return to Daily Paintworks--thinking maybe June. Meantime, I have a l-o-o-n-g to-do list for this weekend's Art Studio Trek. Yikes.